I never buy newspapers these days. Most of the newspapers have websites where you can read all the news and comment for free. And you can also see what other readers have made of the stories and the views expressed. Christian Schools: No place for Science? In the last few weeks there has been a string of stories about Christian schools which have fallen foul of the authorities. And it’s been very interesting to read some of the comments that readers have added to the stories. Some are sympathetic to the schools but many are bitterly hostile. Christian schools are hotbeds of bigotry, sectarianism, ignorance, so we’re told. And of all the accusations that are levelled against them, one of the most common is this: they are anti-science. Atheists and agnostics queue up to say that religion generally is opposed to science, and Christianity is worst of all. So if we let Christians run schools, the children will grow up ignorant of science and be brainwashed into believing primitive, stone-age myths. “Christians have always tried to block scientific progress. Fortunately, since the Enlightenment, no-one with any brains takes religion seriously so science can flourish”. It’s not just on-line newspapers where you read comments like these. The internet is awash with them. They all know it’s true. Christianity has been the great hindrance to science. And what proof do these online experts offer for their assertions? Well, it’s always the same – Galileo! Christians hate Science: Here’s the proof! That’s a fairly typical attack on the Christian attitude to science, and the Church’s record. Well, I’m not in the business of defending the Roman Catholic Church’s dealings with Galileo. Apart from anything else I’ve read very little 17th century RC theology. But this writer doesn’t just attack the Roman Catholic Church. He also talks about “every Protestant church before 1800″ and their bitter opposition to Galileo. Does that sound as if Baxter was in “bitter opposition” to Galileo and his researches? Baxter was not alone among the Puritans in admiring Galileo and endorsing his work. The position that first Copernicus and then Galileo argued for and the Roman Catholic Church condemned – that the earth moved around the sun – was upheld by a string of prominent Puritan scholars. R Hooykaas in his book Religion and the Rise of Modern Science lists a whole string of pioneering scientists in England who were forthright and fervent Puritans and who were convinced followers of Copernicus and Galileo. In 1597 Sir Thomas Gresham founded Gresham College in London. Seven professors were appointed to give public lectures in Astronomy, Divinity, Geometry, Law, Music, Physic and Rhetoric. The college became a hotbed of Puritanism. The professors included such notable figures as Henry Briggs the first geometry professor (who first produced tables of decimal logarithms). 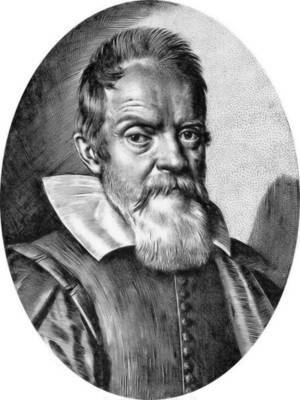 He was a fervent Puritan – and a firm defender of the Copernican system. Henry Gellibrand was professor of astronomy from 1626: again a Puritan Calvinist and a Copernican. It was a circle of scientists and physicians meeting at Gresham college who initiated what was to become the Royal Society, the most prestigious of all Britain’s scientific bodies. Perhaps the most influential figure in that group was John Wilkins, Oliver Cromwell’s brother-in-law. A committee of twelve key figures in the group announced in 1660 that they intended to establish a “College for the Promoting of Physico Mathematical Experimental Learning” – two years later it received a Royal Charter from Charles II. The majority of the 1660 committee were strongly Puritan; it is estimated that 62% of the members of the Royal Society in 1663 were Puritan in outlook. Whatever the truth about the Roman Catholic Church, it would seem absurd to suggest that Protestants in England were hostile to science. The Puritans were the most consistent of English Protestants – and they were at the forefront of scientific progress in 17th century England. “certain fanatics, who furiously declaim against all the liberal arts and sciences, as if their only use were to puff men up, and were not of the greatest advantage as helps in common life…. Nothing is so arrogant as ignorance.” (Commentary on 1 Cor 8:1). “Both the heavens and the earth present us with innumerable proofs: not only those more recondite proofs which astronomy, medicine, and all the natural sciences are designed to illustrate, but proofs which force themselves on the notice of the most illiterate peasant, who cannot open his eyes without beholding them. It is true, indeed, that those who are more or less intimately acquainted with those liberal studies are thereby assisted and enabled to obtain a deeper insight into the secret workings of divine wisdom… To investigate the motions of the heavenly bodies, to determine their positions, measure their distances, and ascertain their properties, demands skill, and a more careful examination; and where these are so employed, as the Providence of God is thereby more fully unfolded, so it is reasonable to suppose that the mind takes a loftier flight, and obtains brighter views of his glory… The same is true in regard to the structure of the human frame. To determine the connection of its parts, its symmetry and beauty, with the skill of a Galen requires singular acuteness; and yet all men acknowledge that the human body bears on its face such proofs of ingenious contrivance as are sufficient to proclaim the admirable wisdom of its Maker…” (Institutes bk 1, chapter 5). The Protestant Reformation led to a new delight in scientific research and experimentation all across Europe. Conrad Gesner, the great champion of botany in Switzerland was a friend of the great Reformers Zwingli and Bullinger. William Turner, the pioneer of natural history in England had close connections with evangelical Protestant leaders such as Hugh Latimer, John a Lasco and Thomas Cranmer. It’s easy enough to show that Protestant and Puritan Christians played an enormously important part in the development of modern science. But does that mean that it was their belief in Christianity which led to this explosion of scientific interest? Could it be that other factors – economic or sociological factors, or the rediscovery of ancient Greek writings – were the real causes of the new enthusiasm for science: these Christians were merely riding a bandwagon that would have rolled in any case? 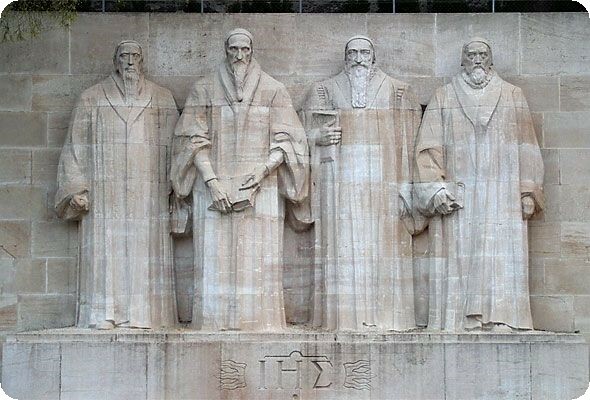 Our atheist friends are quick to tell us that these great Protestant scientists were just following a trend that had nothing really to do with Christianity. In fact, some would add that they pursued science despite their Christianity, not because of it. Well, there’s only one way of checking that – and that’s by looking at what they themselves wrote. Many of them explained exactly why they were so fascinated by science, and why they adopted new approaches and methods in their scientific work. Let me list out five Bible truths which motivated the Protestants of the 16th and 17th centuries to pursue science, and shaped the way they approached it. What was the greatest truth that the Protestant Reformers rediscovered and preached? It was this: that there is one God, who created everything for his own glory, who controls it all, and who is steering it all to the end he has predestined. The heathen of China or India believed in a thousand competing gods and goddesses all pushing the world in different directions. But Bible-minded Christians knew that the one true God took personal and direct control of everything in creation: when rain fell, when wind blew, when seeds germinated, when flame sparked, it was God who had made it happen. Apples fall to the ground because God makes them fall to the ground. And he does so consistently. He makes apples fall in Africa just as he does in England. Yes, he is free to intervene and miraculously to make an apple rise upwards if that is his sovereign will. But God reserves such miracles for the rarest of occasions. They should never be assumed or expected. In theory, the Christian – ie Roman Catholic – philosophers and theologians of the Middle Ages believed in God’s sovereignty and consistency. But those great truths had been muddied by centuries of superstition. Instead of looking to God as the ultimate cause of everything that happens, people looked to demons and angels who competed and fought to control the world. A demon might drag an apple upward at will. An angel might intervene and drag it downward again. And God himself was far from consistent. He was expected constantly to do miracles. (Remember our series on early British church history?) Christians were encouraged to believe that holy relics carried miraculous power. God allowed saints, living or dead,to control the weather or perform other miracles. And of course there was the constantly repeated miracle of the Mass. A priest could turn bread and wine into flesh and blood by chanting the right words. This was the old heathen view of the world – a leaven which had spread through the Church. And what a hindrance it was to real science! Scientists need to know that the same experiment, repeated in different laboratories around the world, will produce the same result. If they build a machine, or write down a chemical formula, they need to know that it will work consistently because God will not whimsically alter the forces at work, or the properties of the materials used. Nor will he allow other powers – angels or demons – to do so. Protestant and Puritan scientists knew that they could trust the Sovereign God to be consistent. It was that confidence which made possible the great scientific advances which began in the sixteenth century and have continued until now. “to see God in his creatures (ie the things he has created) and to love him, and converse with him, was the employment of man in his upright state; that this is so far from ceasing to be our duty, that it is the work of Christ to bring us, by faith, back to it; and therefore the most holy men are the most excellent students of God’s works, and none but the holy can rightly study them or know them. 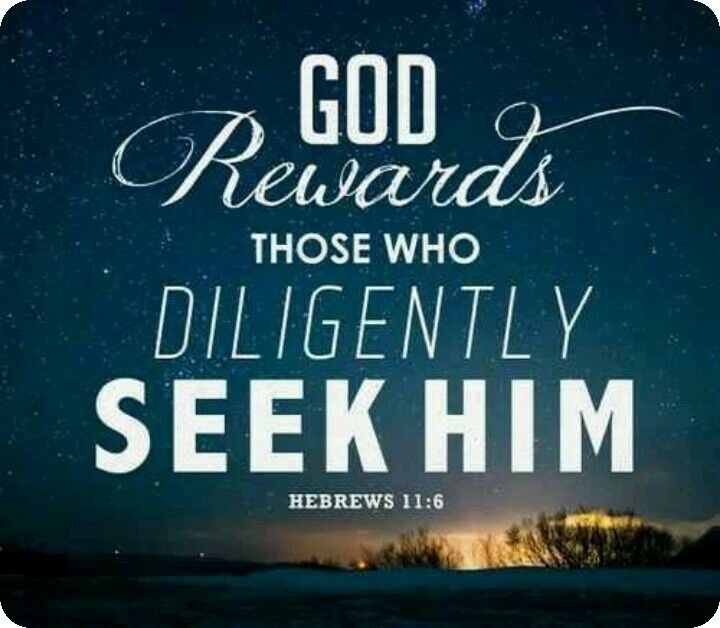 ‘Great are the works of the Lord, sought out of all them that have pleasure therein;’ but not for themselves, but for him that made them… Your study of physics and other sciences is not worth a rush, if it be not God that you seek after in them. To see and admire, to reverence and adore, to love and delight in God, as exhibited in his works _ this is the true and only philosophy”. 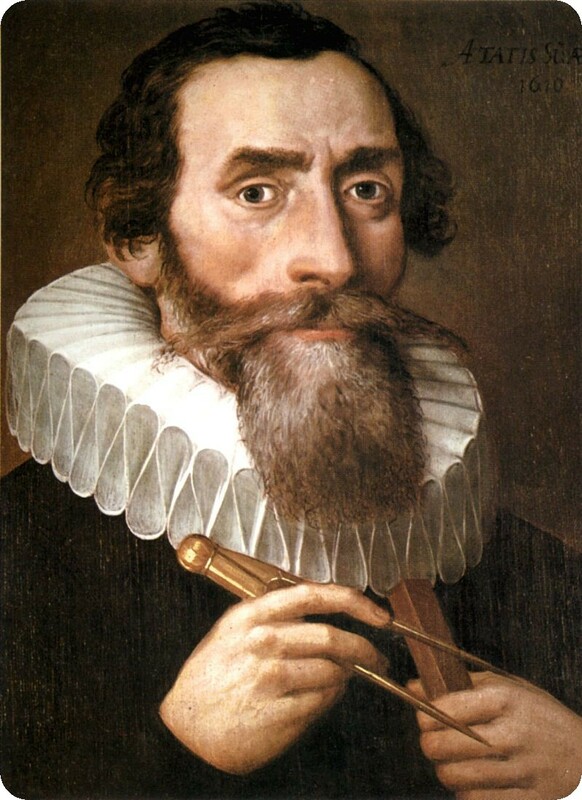 Perhaps no scientist of the time expressed his motivation so powerfully and movingly as Johannes Kepler (1571-1630) the great Lutheran astronomer. Protestant Christians took seriously the words of Genesis 2:26-28. Man has a duty to explore the earth, discover its potential, develop its resources, and rule it in the name of God. “All animals, nay, the earth itself with all created living things and all generated from them, are subjected to the dominion of Adam, whom God by his vocal and expressed command constituted king over the whole animal creation…” (Luther: Commentary on Genesis). “He (Man) should have authority over all living creatures. He (God) appointed man, it is true, lord of the world; but he expressly subjects the animals to him, because they having an inclination or instinct of their own, seem to be less under authority from without”. (Calvin: Commentary on Genesis). Many Protestant writers explored the implications of those truths. 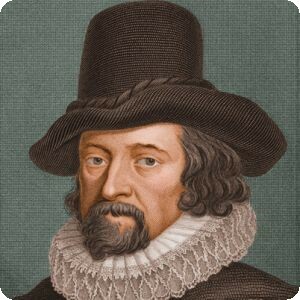 But it was the English philosopher Francis Bacon (1561-1626) who spelled them out most forcefully. He argued that though Man through the Fall lost his original capacity to control creation, we can regain it through the right use of science. So Bacon argued that there should be no no-go areas for scientific exploration. If God has given man the right and duty of ruling all creation, Man must aim for nothing less. Bacon was no Puritan. But he played a huge part in shaping the thinking of the Puritans. The Puritan men who were the core of the Royal Society acknowledged their debt to Bacon’s thinking. They pursued science because they believed the Bible told them to. “This philosophy, if it be carefully examined, will be found to advance certain points of view which are deliberately designed to convince men that nothing really great, nothing by which nature can be commanded and subdued, is to be expected from human art and human labour. Such teachings… will be found to tend to nothing less than a wicked effort to curtail human power over nature and to produce a deliberate and artificial despair. This despair in its turn confounds the promptings of hope, cuts the springs and sinews of industry, and makes men unwilling to put anything to the hazard of trial”. Bacon, for his part, was determined to promote a science that would change things, and especially one that would lessen the suffering of mankind. “I would address one general admonition to all; that they consider what are the true ends of knowledge, and that they seek it not either for pleasure of the mind, or for contention, or for superiority to others, or for profit, or fame, or power, or any of these inferior things; but for the benefit and use of Life; and that they perfect and govern it in charity”. “May God, the Founder, Preserver, and Renewer of the Universe, in his love and compassion to men, protect the work both in its ascent to His glory and its descent to the good of Man, through His only Son, God-with-us”. That vision – of a science that would bring glory to God, and good to Man – became the vision of the Puritan scientists who laid the foundations of the natural sciences in England. Modern science is built on the idea of experiment. A scientist may, by reasoning, persuade himself that something must be true. But then, his task is to prove it experimentally. And if the results of his experiments don’t match his original hypothesis, he must be prepared to revise or abandon the hypothesis. That was not the way most scientists operated in the Middle Ages, before the Reformation. They would not have called themselves scientists: they were philosophers. And their philosophy had been much influenced by the ancient Greek and Roman intellectuals. Greek philosophers like Aristotle, Roman thinkers like Cicero, thought of manual labour as a regrettable necessity. As Cicero declared, a mechanical workshop “contains nothing fit for a freeborn man”. So, from their point of view, the ideal way of investigating the world was by pure reasoning. And medicine apart, philosophers should not bother themselves with any practical application of their reasoning. “Mediaeval textbooks contained many thought experiments, but they were never scientifically tested and they were not even intended to be tested. Scientific demonstrations always ran ‘when A and B are true, then C and D must follow..’.” Hands-on experiments were unnecessary or undesirable. All that changed with the Reformation. As Protestants went back to the Bible, they discovered that manual work, far from being degrading, is honourable and praiseworthy. God gave Adam the task of tending a garden. His Son worked in a carpenter’s shop. Paul was a tent-maker. So William Perkins, the most influential Puritan theologian of the 16th century declared that hands-on manual work, done for God’s glory, is as much blessed as the work of a preacher or magistrate. And that attitude transformed science. I mentioned Wilkins before – Cromwell’s brother-in-law – key figure in the group from which the Royal Society emerged. Wilkins attacked the Greek philosophers’ attitude to manual labour, and thanked God that Galileo had followed the example of Greek engineers rather than Greek scientists – by doing experiments! As one Puritan clergyman put it, scientists needed to have “their wits in their hands”. Cromwell’s army chaplain demanded that the universities should have laboratories as well as libraries, so that students would “put their fingers in the oven, so that they get familiar with the wonders of chemistry”. Scientific progress could never be made in a society where manual work was despised. Reading the Bible liberated seventeenth century Protestants from intellectual snobbery and set them free to do real science. Every one of us today benefits from the extraordinary achievements of scientists over the past four hundred or so years. We live in houses that are warm in winter and cool in summer. We eat plentiful and safe food. We go to the doctor and are supplied with medicines that work. I sit at a computer, press keys, and send messages to people across the world. I wear vari-focal glasses – without them the world would be a blur to me. We must never take those things for granted. Atheists, ignorant of history, may say that all this is just natural progress – evidence of Man’s capacity to overcome all obstacles. But the explosion of scientific knowledge in the Western world did not come about by some inevitable law of development. It came about because God in his grace set people reading the Bible and discovering the truth about Himself and his world. Modern science was not born in Africa, or Australia, or India, or China. As one writer puts it, “only one civilization developed a self-sustaining modern science” – and that civilization was a civilization shaped by fifteen hundred years of Christendom, and then purified by the Reformation. We owe thanks to God. And let’s not forget to honour the folk in our own congregation whom God has called to serve him and the world as scientists. Men like Paul, Geoff, Malcolm, stand in a great tradition. Let’s pray that in their work they’ll bring glory to God and good to mankind. We’re horrified by some of the ways that science is misused today. Science cut off from the fear of God can become a terrible weapon for evil. But we thank God that there are still men who pursue science out of love for God, and compassion for the world. May God strengthen their hand. Thanks for this interesting comment. My problem with your position on origins is that it doesn’t just mean “rethinking views on Genesis to something non-literal”. It means rewriting the whole of Biblical theology. It seems to me fundamental to the Bible story and to the Christian faith that the world as we see it now is in a messed-up state. My view is that pain, exhaustion, senility, cancer, hunger, the ruthless struggle for survival, had no part in the world as created by God. They are abnormal, intruders. Modern science on the other hand says that these things are just an inevitable part of existence – they are simply the-way-life-is. However long ago the first human beings lived, on that view their bodies were riddled from the start with illnesses, they suffered all the same pains that human beings suffer now, they were bound to die in all the same humiliating and distressing ways that human beings die today. So the real divide is not between eg young-earthers and ancient-earthers. It’s between folk who think of this world as being a damaged (or in Bible language ‘cursed’) state and people who think it’s as good or better than it ever has been. You will find our approach to origins argued at greater length here on Creation. However, it falls short of addressing the real issue as to why people today see Christianity as hindering science, which is the thorny question of origins. The scientific community, which you rightly praise, as well as advancing medicine and technology, also considers what the world tells us about how it began. And, whether we like it or not, virtually all scientists agree that the world (indeed the universe) is very old and that life evolved. Scientists have come to these conclusions not because of an atheist conspiracy, as some christians like to suggest, but because the evidence tells them that. And this immediately brings science and the Bible into conflict. Now, I don’t believe there is any conflict between science and the Bible. If science appears to contradict the Bible, then either the science is wrong (unlikely) or our understanding of the Bible is wrong (likely). As you mentioned, catholics rejected the science of their day by insisting on geocentricity, but eventually accepted heliocentricity centuries later. However, many protestant evangelicals have failed to learn from the catholics’ mistakes and reject the science of our day by insisting on a young earth, a six day creation, and a historic Adam and Eve. You talked about Bacon’s rejection of “no-go areas” in science, but many in the church today see the subject of origins as a no-go area. Whilst they are happy to accept the rest of science (the bits that benefits them), they can’t accept what science tell us about origins. A common response is to try to discredit that science, and to be frank, their attempts are laughable. We urgently need to change our ways and adopt a theology that accepts scientific conclusions about origins. But we are a long way off. In many parts of the church, rethinking views on Genesis to something non-literal is seen as total heresy and fought against. For example, starting tomorrow, there is a conference in California on biblical inerrancy, featuring a number of prominent evangelical leaders (including some from the UK), most (maybe even all) of whom see young earth creationism as the only orthodox position, to be strongly defended as essential to the faith. The event is sold-out, with several thousand pastors attending, who will no doubt teach this to their churches. I don’t have any statistics, but my feeling is that young earth creationism also has a good following in UK evangelical churches, especially the more conservative ones, and it is taught in some christian schools to the consternation of many. Hence the popular view that christianity is anti-science. A passionate and erudite defence of science from a pastor is most welcome, but it’s incomplete without mentioning the origins debate. Perhaps you could be so kind as to correct this omission and let us know what you think.